Make a statement with your lighting design with our newest collection of vintage inspired oversized Cone lampshades, part of our new Flora X Fauna Collection. 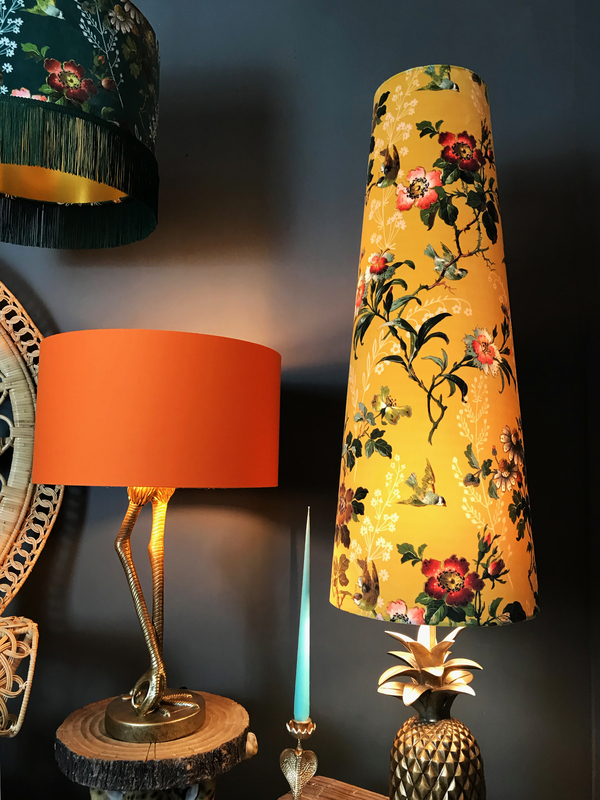 Inspired by the statement lighting designs of the 60s/70s you can expect warm ambient colours and bold vintage inspired floral designs. 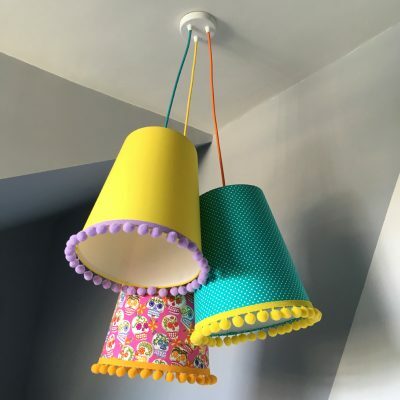 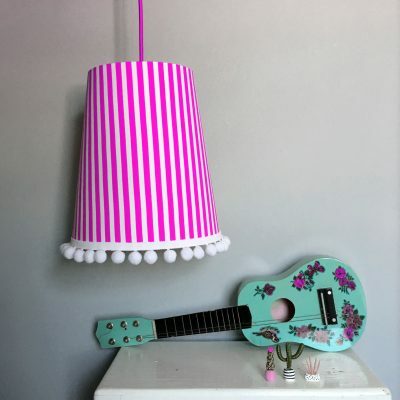 Love Frankie are here to help you experiment with your decor and add a playful touch to your interiors. Pair the regal King & Queen Cone lampshades with round, short and bulbous lamp bases to add height and grab attention to your space. 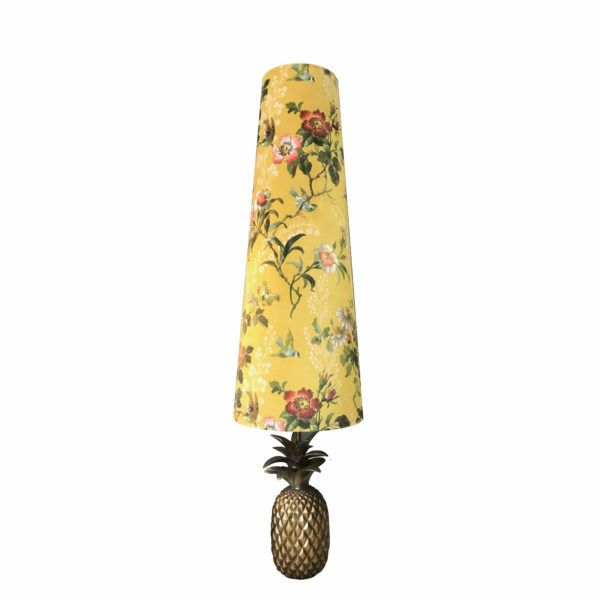 Available in two different sizes and suitable for lamps only. 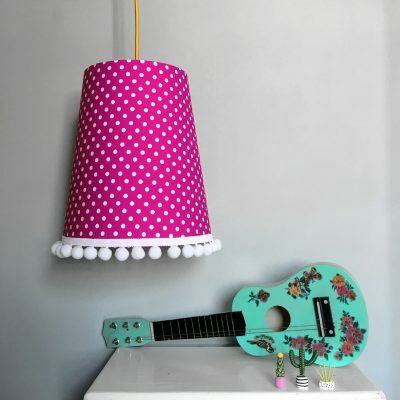 Our QUEEN oversized Cone lampshade (with her slightly wider bottom) Stands just shy of 60cm in height. 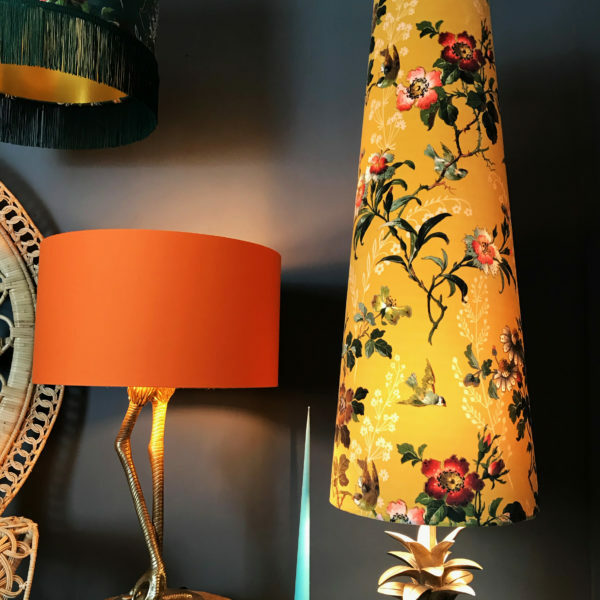 Part of our Flora X Fauna collection, this statement floral mustard velvet pairs wonderfully with our oversized King And Queen Cone lampshades. Bold statement florals in interiors is a trend which simply never goes out of style. 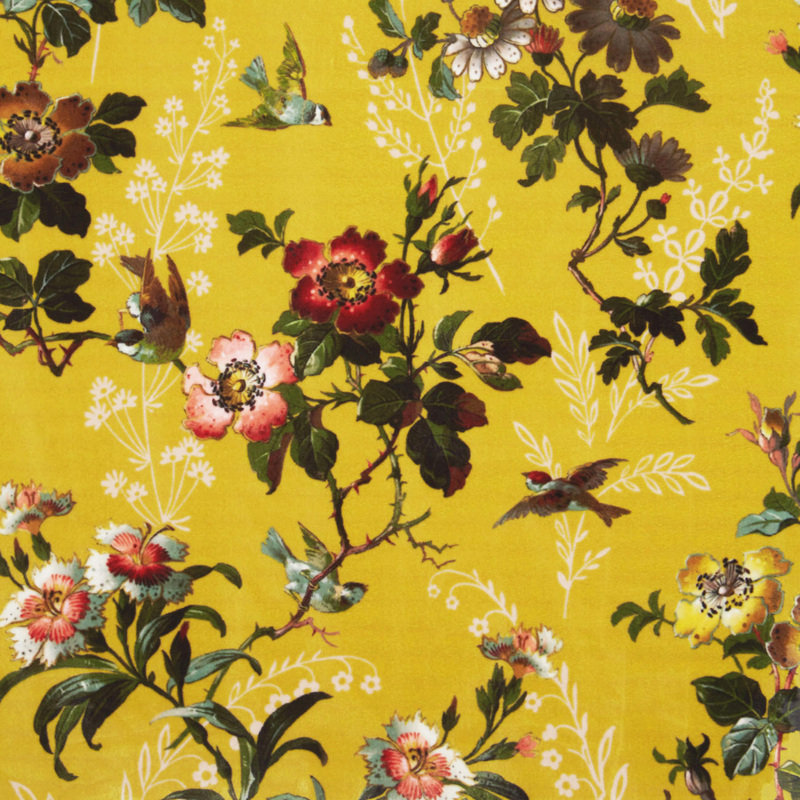 So whether you’re a daring pattern connoisseur or whether you’re looking for more of a subtle take on the trend, Love Frankie are here to inject a slice of vintage floral fun back into your decor. 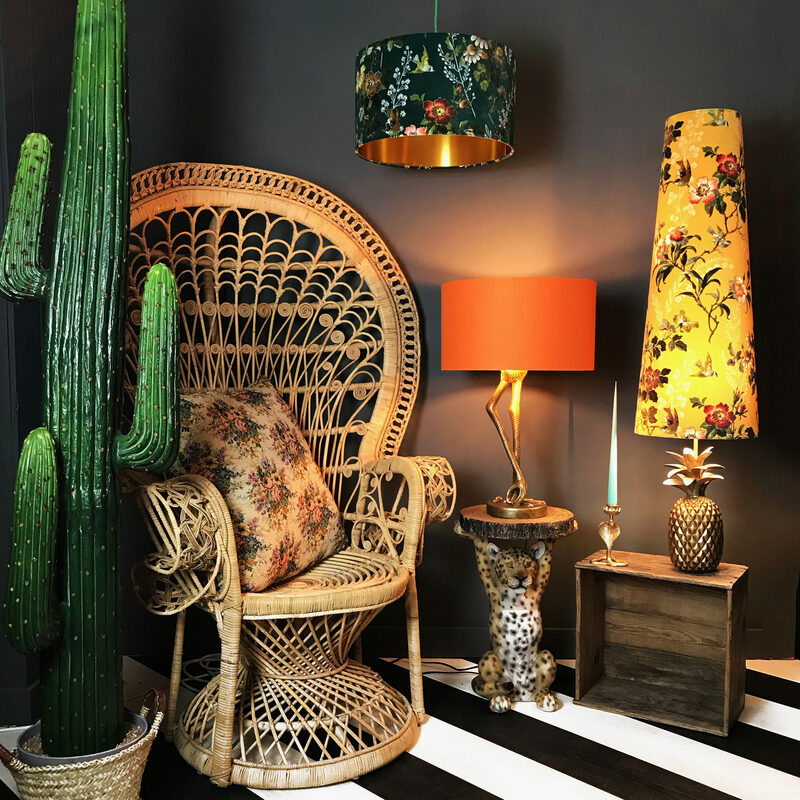 Our Oversized King and Queen Cone Lampshades are single sided with white on inside allowing an abundance of light to glow through.